Available: Delivery in 2 to 3 Days. 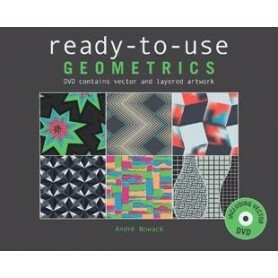 DVD with all designs in the vector formats: *.ai (Adobe Illustrator CS5 or newer), *.eps (for Illustrator CS5 and CorelDraw Graphic Suite X5 or newer), *.pdf (for Adobe Acrobat and all software mentioned). • All designs are arranged in layers that correspond to the usual methods of production. This will help you to achieve a product-specific pattern construction. • Extra layers in each design-file with lots of features, such as guides, platforms, outline drawings, single design elements etc. • Many elements are already windowed and separated. • All designs are prcisely repeated and laid out in a size of 35 cm x 32 cm. • Each design is created as a vector file. This means you can scale the designs without loosing any quality. 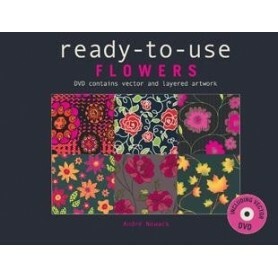 • DVD with all designs in the vector formats: *.ai (Adobe Illustrator CS5 or newer), *.eps (for Illustrator CS5 and CorelDraw Graphic Suite X5 or newer), *.pdf (for Adobe Acrobat and all software mentioned). 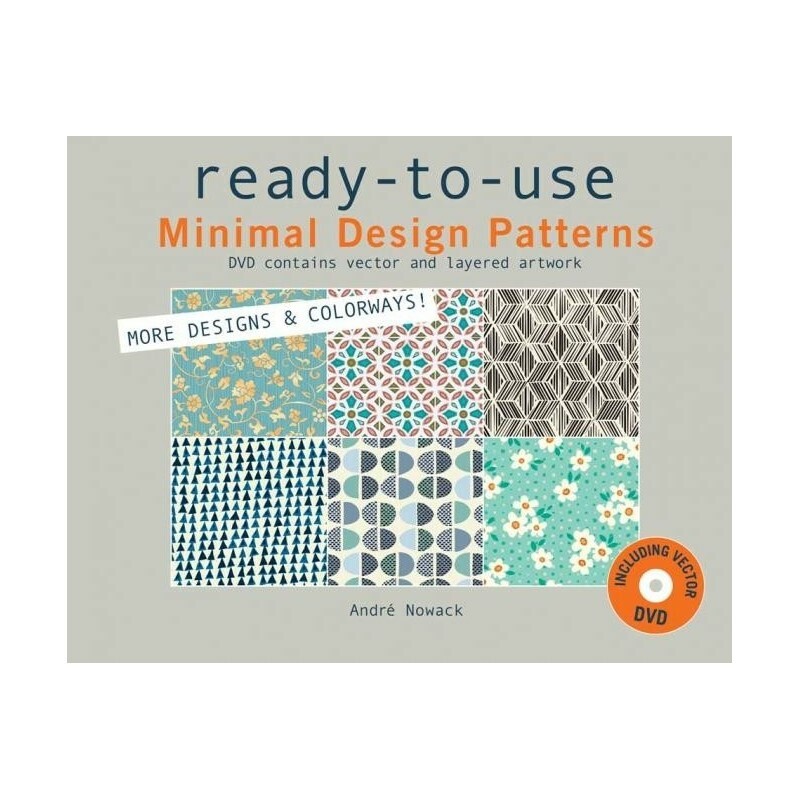 This publication series READY TO USEMinimal Designs Patterns Designs Book presents designs for different fields of application. The designs have been developed for the industry by a designer with ample experience in the textile and surface industry The new publication of this series comes up with the workbook MINIMAL DESIGN PATTERNS featuring 161 designs in 322 colorways applicable to a wide variety of products in the fields of Fashion, Interior Design, Architecture, Home Textiles, Beauty. 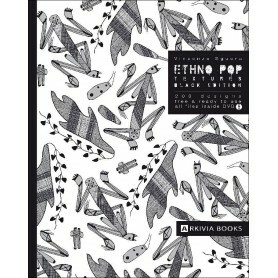 Lifestyle, Gift Wrapping, Stationery All of the designs presented in this workbook are READY TO USE. 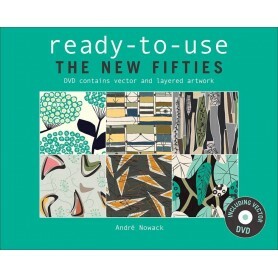 In this new publication you will find 161 highly up to date designs instead of 131 designs as in the previous editions. To give you further impressions of the versatility of the designs a second colorway of each design is added. It is of great advantage that the designs are arranged in layers that correspond to the usual methods of production. You will find in one layer all corresponding design elements which belong together. There is no need anymore to assemble all the elements which must be printed by the same printing unit. 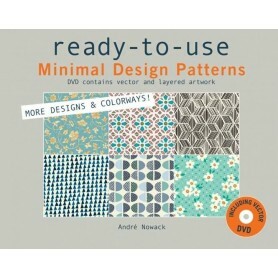 You can concentrate on creating the design without losing time to break down the pattern. As additional advantage, you'll find extra layers in each design-file with lots of features. Feel free to either vary the designs or create something new with single design elements, Use the different "reserve layers" with guides, platforms, outline drawings, single elements etc. to work on the designs fast and efficiently. 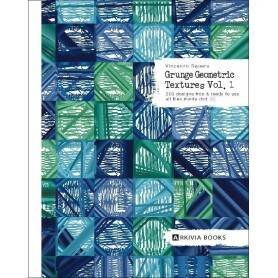 This will help you to achieve a pattern construction particular to the product. designs are laid out in a size of 35cm x 32cm. All repeats used in this book can be divided and multiplied accordingly. Most of the repeats used in industry will fit to these proportions. 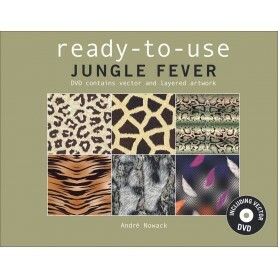 Each design has been created as a vector file. This means you can scale the designs without loosing any quality Just scale the files to the size required for your production equipment. With this support you get closer to achieve your aim of developing a sales-boosting collection. 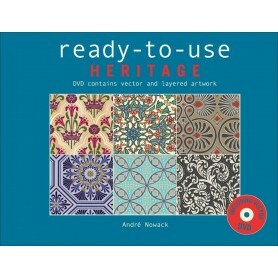 The new READY-TO-USE book picks out designs of our - Heritage - as a central theme. There is always a great need in fashion-, textile- and surface design for classical designs in any style and many geographical and ethnical origins. 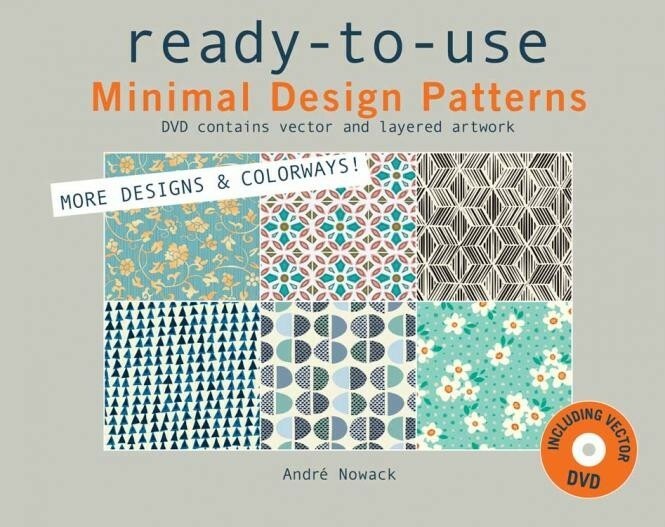 This workbook of the "ready-to-use" series features 138 top designs offering a wide range of applications in the fields of fashion, home and house textiles, interior design, beauty, lifestyle, gift wrapping, stationery etc. The author has many years of industry experience - all designs are developed taking into account the specific criteria for industry.